ALL JOBS AT MOMENTUM, INC.
Management Jobs at Momentum, Inc.
We know that the first steps of transforming a business are the hardest. As a leading management consulting firm, our advisors are some of the best in the industry because they work with you. We help you identify issues facing your business, strategize how to solve them, and achieve the desired change in a timely manner. Moving forward was never so easy! 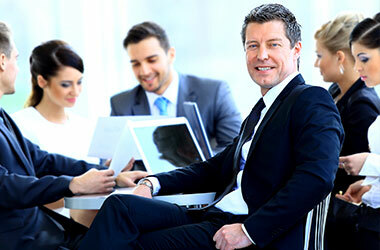 With a unique combination of knowledge, experience, and critical thinking, our management consulting aptitude is rooted in our successes with improving business productivity, customer service and product/service quality. We'll guide you through the planning process en route to higher productivity and efficiency. Join the Momentum, Inc. Talent Network today to stay up to-date on our current openings for Management jobs as they become available! We currently do not have any openings for Management Jobs at Momentum, Inc.. If you join our Talent Network, we will email you as soon as similar jobs become available.